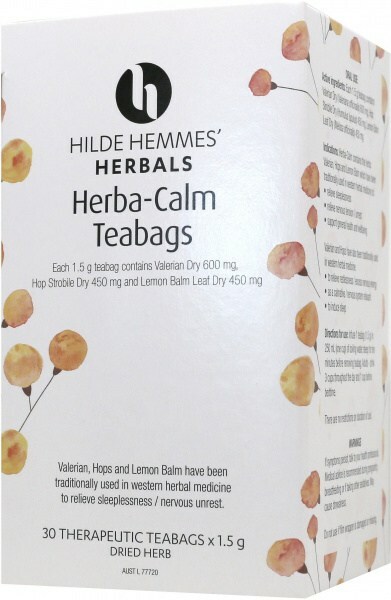 Herba-Calm teabags are a natural alternative to sleeping tablets without being habit-forming or having strong sedative effects, and feature valerian, hops and lemon balm, three of the best-known herbs for the relief of sleeplessness and unrest. Medicinal Use: Take for the relief of insomnia and nervous unrest. Promotes a more natural, restful sleep without strong sedative or hypnotic effects. Claims are based on traditional use in western herbal medicine. Contains appropriate information based on latest findings.